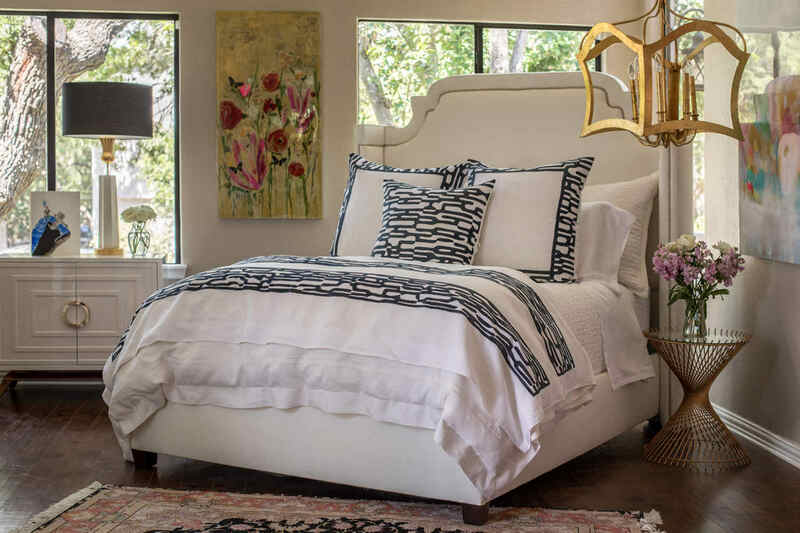 Lili Alessandra Christian White Linen with Midnight Velvet Applique Bedding Collection - Swatches may be available. 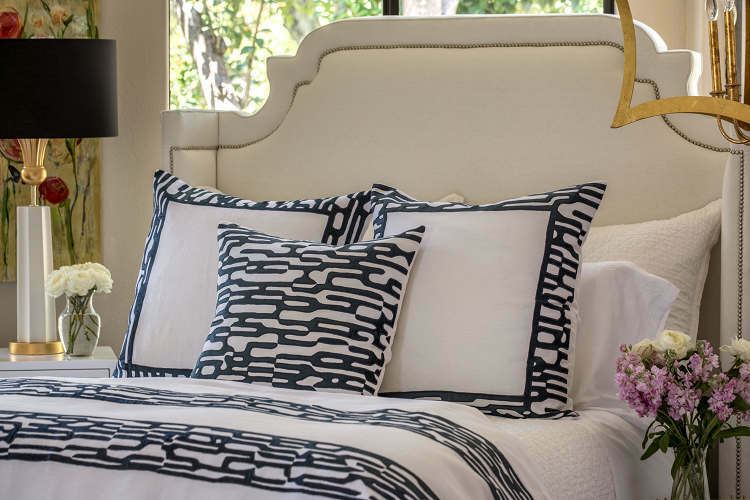 An applique sequence of interconnecting bold lines creating movement and a bold statement in this bedroom decor. Clean, transitional, modern bedding by Lili Alessandra. The collection is coordinated with Casablanca White linen with White Linen Applique and Emily a 100% Linen Quilted Coverlet. Each piece may be ordered separately or together on DefiningElegance.com easy shop system. This luxury collection is machine washable. The three-panel bedskirt fits Queen and King size beds. Decorative pillow prices include 95/5 down filled inserts.